Summer means its time to grab your motorcycle helmet, fine tune your bike, and hit the road. 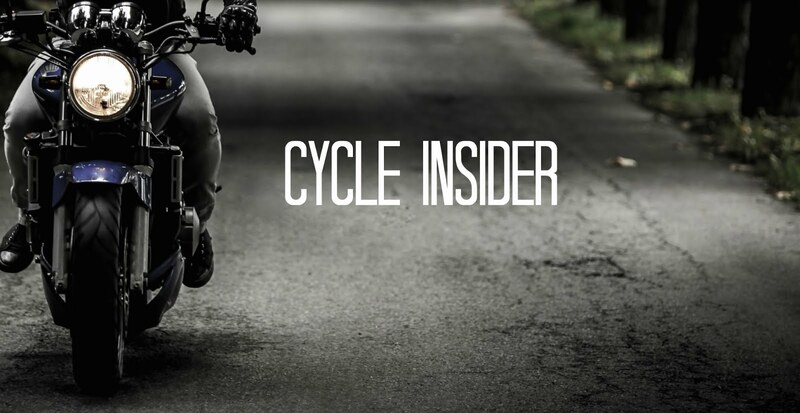 Just you and your bike---and about 9 million other registered motorcyclists. Summer inevitably means more motorcycles on the road, so in order to stay safe this motorcycle season, keep the following safety tips in mind. · Bring Your Bike in for a Tune-Up: Check all gaskets and hoses to be sure they are working properly, and check the tread on your tires and make sure they are properly inflated. Fill all of your bike's fluids and inspect your brakes. If you don't have time for your bike's summer maintenance, consider taking it into your local mechanic for a tune-up. · Check Your Safety Gear: The gear you wear can make a real difference if you are involved in an accident. If you already own riding suits, motorcycle helmets, goggles, and gloves, inspect them carefully for holes, rips, tears, or anything that might make them unsafe. If you don't already own safety gear, consider splurging on a new helmet, a pair of riding boots, and a riding jacket. · Don't Ride in Vehicle Blind Spots: Now that you are ready to hit the road, it is important to remember to ride safely. Don't assume that other vehicle drivers are looking out for you; chances are that they aren't. As such, never ride in a vehicle's blind spot. · Use Your Horn and Your Lights: You have two very important safety features already installed on your bike—your horn and your lights. Don't be afraid to use them. Use your lights at intersections to be sure other drivers know you are there and keep them on even during the day. If another driver is swerving or entering your lane, use your horn to alert them of your presence. · Don't Speed: The faster you go, the less time you have to react in an emergency situation. Avoid going faster than the posted speed limit signs and reduce your speed in traffic and bad weather. · Don't Tailgate: Maintain a safe distance behind other vehicles to avoid deadly rear-end accidents. This will give you a chance to react quickly if the other driver slams on his or her brakes. It will also give you a chance to react to any debris that may be in the road. · Be Mindful of Motorcyclists: Learn to notice when a motorcycle is sharing the road with you. Make a point to look around you and notice how many bikers are on the road. Awareness is the key to sharing the road. 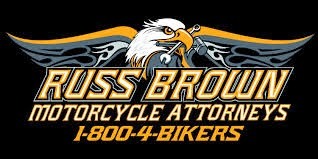 · Give Motorcyclists Room: Don't crowd around a motorcyclist on the freeway. Give him or her adequate space to maneuver, avoid debris, and stop. Never tailgate behind a motorcyclist, and increase your driving distance when you are behind a biker. · Look Twice at Intersections: Before you turn at an intersection, look twice for motorcyclists. Sometimes car drivers don't recognize a biker in their path—they look right through them. Looking twice at intersections could save a life. · Check Your Blind Spots Often: It is easy for a biker to hide in your blind spot on a freeway or highway road. Before you change lanes, always check your blind spots and make a habit to do so regularly. · Avoid Texting and Driving: Texting and driving might be illegal in many states, but that doesn't stop drivers from doing it. Avoid texting or using your cellphone while driving. Using a cellphone is a form of distracted driving that can cause drivers to swerve into an oncoming biker, sideswipe one on a street, or fail to recognize a biker at an intersection. Expect it where you least expect it! I was recently hit on a freeway offramp. The off ramp is five lanes wide and I was in the far left lane with only a few cars stopped ahead of me. As I was passing the last car stopped in the lane to my right, the driver abruptly changed lanes into me. Luckily I was wearing all my gear and only going about 20-25 mph. I went down on my face and was saved by my full-face helmet. My knees are severely bruised and I have a few scrapes. It would have been a lot worse if I wasn't wearing riding pants, jacket, and gloves. wow really nice tips for bike riders and You made some nice points there it was really useful.